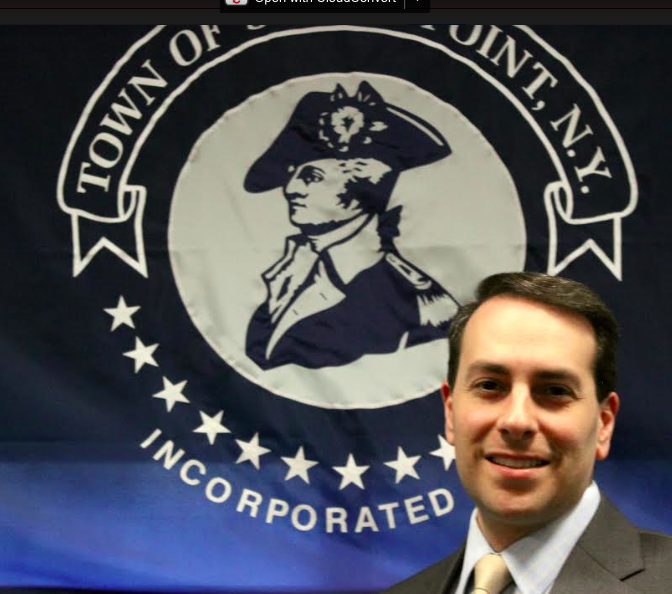 To those who follow national and state politics closely, they know Stony Pointer Tom Basile is more than just a councilman on the Town Board. He has been in the federal, state and local arena for more than two decades and written a book about his experiences in Iraq after the overthrow of Saddam Hussein. “TOUGH SELL-Fighting the Media War in Iraq,” is the story of Basile’s experience as Senior Press Advisor to the U.S. Coalition Provisional Authority while serving under former President George W. Bush. He spent seven months in Iraq during 2003-2004 dealing with the press corps. “I started compiling notes in 2004,” said Basile. “By 2011, when former President Obama decided to pull out of Iraq, I was prompted to put those notes together and into book form, knowing the action on Obama’s part would have a negative impact on the people of Iraq. From Basile’s point of view, the real war on terror was far from over when American and foreign media said the U.S. was getting out of Iraq. The Stony Point councilman says Americans need to change their perception on what war has become since the introduction of the World Wide Web. He also felt frustrated by both Democrats and his own Republican Party running against Obama in 2008 for all running away from the mission so quickly. “No country wants to be occupied, nor does any democratic country want to be occupiers,” said Basile. 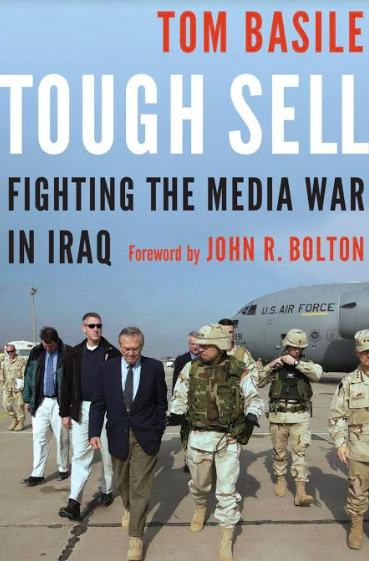 “Tough Sell-Fighting the Media War in Iraq,” with a forward by Ambassador John R. Bolton, is available on Amazon in hardcover and Kindle edition, as well as Barnes & Noble. Basile said his story of his Iraq experience, the good and the bad, will soon be on more bookshelves after hitting #1 on multiple Amazon bestseller lists. Tom Basile plans to speak on his first book at the Rose Memorial Library in Stony Point in the near future. For those who’d like to hear the side of the Iraq conflict they didn’t read in the news or see on TV, it should be an enlightening look into a fellow Rocklander’s experience with the media, mishandling of information and a look at the mindset of radical Islamic State terrorists.